Create a commoditized, mass market product. 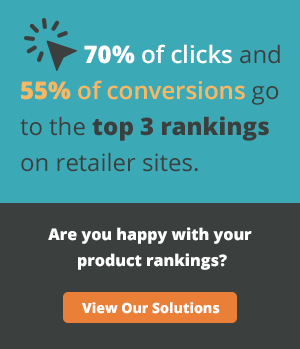 Make sure it meets all of your customers’ expectations. Advertise until everyone sings your commercial jingle. Sell variants of that brand for the next 50 years. Fast forward to 2018, and everything in CPG Land suddenly looks drastically different. Niche brands and start-up companies are creating buzzworthy products that are wildly unique. These products often only resonate with a small portion of the population. They are the opposite of commoditized, mass market products. Yet those smaller consumer tribes are incredibly brand loyal and evasive for Big CPG. At the same time, traditional CPG brands still appear to be dominating the market. Coca-Cola, for example, sold $40 billion in carbonated soft drinks in the United States in 2016. Are they really worried about GuS’s $4 million? Or even Zevia at $120 million? If so, what are they supposed to do to make sure they remain the king of the beverage industry? In this post, we’ll explore the threats these smaller CPG brands pose and whether traditional firms are better off acquiring or innovating from within to stay competitive. Small has become the new big in the U.S. market. Consumers don’t implicitly trust top CPG companies like they used to. They are avoiding processed foods and preservatives, steering clear of the center of the grocery store where Big Food has reigned supreme for so long. Increased pollution and waste, natural resource depletion, and climate change have all heightened the expectations that consumers have for corporations. Product safety scandals and media coverage of lawsuits have also made consumers more skeptical and cynical of Big CPG brands and their products. According to GlobalData, 42% of consumers find small grocery brands to be more trustworthy than larger companies. This is problematic for brands that have spent decades trying to develop that consumer trust. 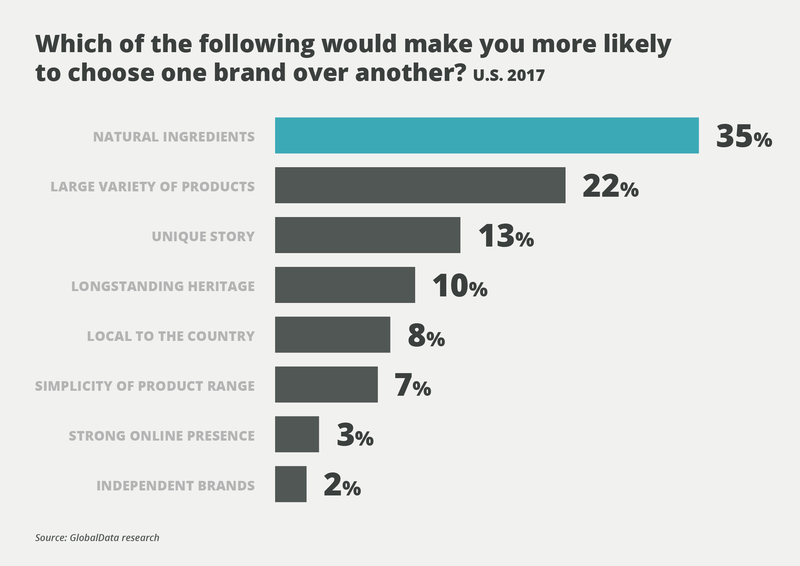 Moreover, the top qualities that U.S. consumers are looking for from brands are authenticity, uniqueness, and natural ingredients. 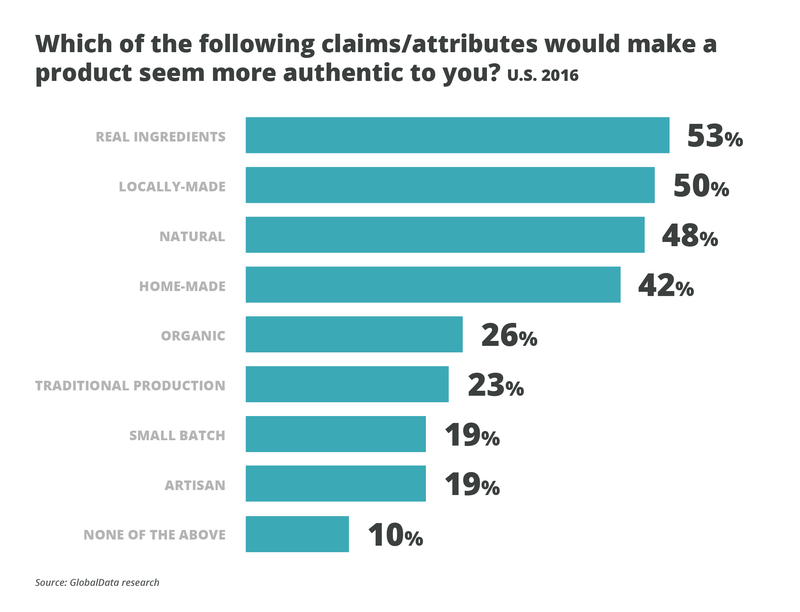 Big Food companies have a hard time convincing customers that they embody these traits, and a longstanding heritage is only important to 10% of consumers. The massive size of major CPG companies and the strong advantages they have built over decades have created a mentality that they can’t be hurt by smaller brands and young startups. It is true that, individually, none of these new brands is going to replace enough market share of any major CPG firm to cause major concern. But this may be the exact problem facing the industry. Since there is no immediate alarm or imminent threat, many firms continue the same strategy year after year without changing anything. In aggregate, however, these young brands are certainly eroding Big CPG’s market share. According to GlobalData, the top five Health and Beauty companies were responsible for 57% of the U.S. market in 2009, 56% in 2013, and 55% today. Although this is only a 1% decrease every few years, that single percentage equals $660 million in lost sales. And it’s not just market share that is suffering. Growth has been hard to come by for Big CPG as well. The 25 largest Food and Beverage companies averaged just 2% annual sales growth from 2012 to 2016. Smaller companies collectively had three times the growth rate over the same period, according to A.T. Kearney. CPG companies need look no further than the grocery industry for proof of the threat of smaller brands. In the late 1980s, Whole Foods and Trader Joe’s were viewed as niche companies that weren’t a danger to the larger, more established chains. Now, the industry is rushing to learn from Trader Joe’s success, and grocery executives are having nightmares about the future possibilities of Amazon’s Whole Foods. "Since there is no immediate alarm or imminent threat, many firms continue the same strategy year after year without changing anything." The paradox: To build? Or to acquire? The question of whether to build new brands or acquire existing ones has been an incredibly hard one for CPG companies to answer. There isn’t a clear-cut, simple solution. Historically, very few CPG firms have built new brands from scratch. Since the 1950s, new product innovation has typically leveraged the name recognition of household brands. This allowed companies to extend their existing brands into new categories or to develop slightly different product variants: things like new flavors, new-and-improved formulations, and new packaging formats. Now, however, more Big CPG firms are starting to create entirely new brands within the walls of their own companies. Examples of these blank-slate brands include The Good Table from General Mills, Devour from Kraft, and Wicked Kitchen from Conagra. Consumers who see these products in stores might not even notice that they are created by “Big Food” companies – which is often part of the strategy. But it’s incredibly difficult to grow a brand from $0 in sales to the $1 billion threshold that industry professionals view as the mark for the most successful brands. According to IRI’s latest New Product Pacesetter report, 90% of top new brands earn less than $40 million in their first year. Furthermore, 80% to 90% of new product introductions will ultimately fail. Walmart’s incubator (Store No 8) is a great example of a company looking at innovation the right way. The group is separate from Walmart, which allows Store No 8 to break the rules and operate in a nimbler fashion than giant-Walmart can operate on its own. Walmart Corporate funds all of the projects, so there is less worry about failure, and Store No 8’s executives don’t need to waste time finding funding. Other great examples are Campbell Soup’s venture capital fund and Coca-Cola’s Venturing & Emerging Brands business unit. "It’s incredibly difficult to grow a brand from $0 in sales to the $1 billion threshold that industry professionals view as the mark for the most successful brands." Based on 2017’s acquisition activity, it seems that many CPG companies believe purchasing brands is the better (or maybe easier) of the two strategies. But acquisition has its own set of dangers and difficulties. To start, Big CPG companies may be overpaying for their startup counterparts. As GlobalData notes, $250 million was an expensive price for Conagra to pay for a niche company like Angie’s Artisan Treats, which has gone through three owners since 2011. Similarly, Unilever recently purchased Dollar Shave Club for a bloated $1 billion price tag. Although that may seem like a reasonable price for Unilever to pay considering its $169 billion market cap, very few companies outside of the Unilevers and P&Gs of the world can afford acquisitions of that size. Moreover, wouldn’t that money be better spent on growing their own brands in-house and saving hundreds of millions of dollars? Shareholders would be proud! Second, it’s difficult to tell if small-brand acquisitions can make a material difference to Big Food’s bottom line. According to Kellogg, sales of their acquired brand Rxbar are expected to hit $120 million in 2017. As impressive as that sounds, $120 million is almost a rounding error when you consider that Kellogg’s sales were over $13 billion in 2016. With both acquisition and new brand development – but particularly with acquisition – there is also the danger of a new brand cannibalizing the sales of an existing one. Beyond the revenue overlap, this creates feelings of animosity between internal teams who have yearly sales numbers they are responsible for hitting. Additionally, there are general concerns about acquisitions that extend beyond just the CPG industry. What if the magic of the company is due to its small, nimble size? What if it can’t scale to a larger business? What if the environment and culture of the startup is ruined when they are incorporated into a larger organization? These are sensitive questions that need to be discussed at length by management. "Big CPG companies may be overpaying for their startup counterparts." Lori Flees, Principal of Walmart’s Store No 8, provided wise advice at the National Retail Federation conference in January 2018. She explained that companies need to understand why they are acquiring another brand and where that brand best fits into their current structure. For example, Walmart acquired Moosejaw in February 2017. Moosejaw had incredible penetration and loyalty in Outdoor categories. It would be difficult for Walmart to achieve that same brand loyalty in similar categories. At the same time, it would have been impossible for Moosejaw to scale to the size that Walmart unlocks for them. The acquisition therefore made sense for both parties. Furthermore, by understanding the goals of Moosejaw’s CEO Eoin Comerford, Walmart was able to place him in charge of all of Walmart’s Outdoor categories, where he has been thriving. The lesson here is that traditional CPG companies need to look to the future and avoid complacency. The advantages that they have built up over the past century have allowed them to avoid major changes in strategy. But their continued success does not mean that they are entirely immune to the threat of small brands. These companies should begin by building blank-slate brands internally. Be creative. Launch products that are entirely different than what has historically been produced by Big CPG companies. Don’t be afraid of new business models. Address a need or a demographic that hasn’t been focused on before. At the same time, these firms must keep a watchful eye for smart acquisitions. The barrier to entry for startups to create new products is lower than it has ever been. That means that anyone, anywhere could create the next Dollar Shave Club. Just because the idea sounds trivial at first doesn’t mean it can’t be a billion-dollar company in a few short years. The change must start today. It’s not impossible. Many big companies have already begun. It’s time that the whole industry gets on board.